Welcome to Lutheran Day 2019! Lutheran Day is on May 9, 2019, this year. 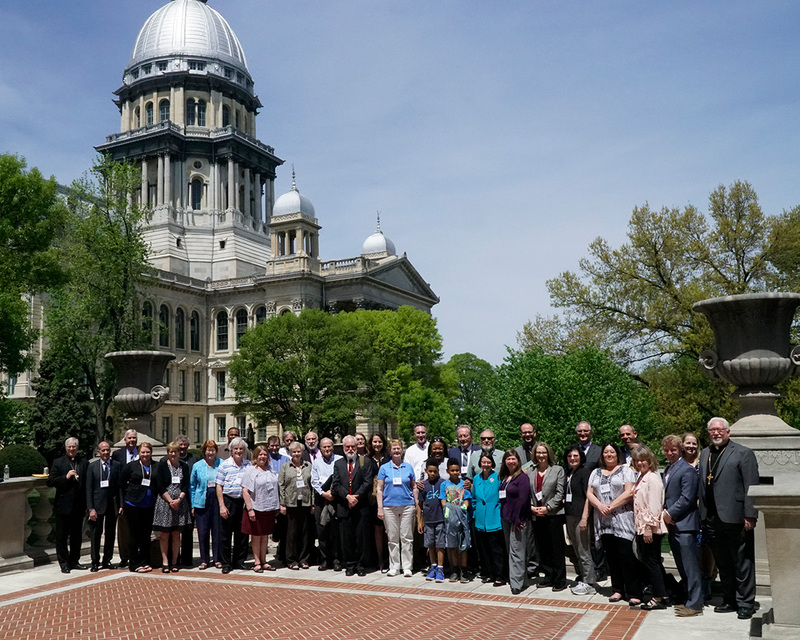 As in previous years, advocates from across the state will gather to study, pray, and take action for equality amongst Illinois residents. Thank you for joining us in raising your voice, and being counted for the sake of God's children, youth, women, and men in need of special care. Who is responsible for serving people in need? We, the People of the State of Illinois in order to provide for the health, safety and welfare of the people; maintain a representative and orderly government; eliminate poverty and inequality; assure legal, social and economic justice; provide opportunity for the fullest development of the individual; insure domestic tranquility; provide for the common defense; and secure the blessings of freedom and liberty to ourselves and our posterity - do ordain and establish this Constitution for the State of Illinois. “Then the King will say to those on his right, ‘Enter, you who are blessed by my Father! Take what's coming to you in this kingdom. It’s been ready for you since the world’s foundation.